The Algarve is a fantastic location for a holiday, as it provides glorious weather, charming towns, and a stunning 150km coastline of some of Europe’s finest beaches. For such a relatively small region there is an amazing variety of destinations: from lively beach resorts, through to historic cities or charming fishing towns. These two tours cover the most popular destinations of the Algarve and provide a great insight into the region, in a relatively short space of time. Both routes can be completed using public transport, but due to the amount of travelling, a rental car is recommended. All of our suggested tours begin in Faro, as this is the closest town to the airport. Faro (Day 1) Pretty old town and boat tours of the Ria Formosa Nature Park. Lagos (Day 6) Historic town combining, beaches, culture and stunning natural scenery; a great city for a holiday. The fast pace of the above tours may not be for all as there is a lot of travelling and sightseeing. 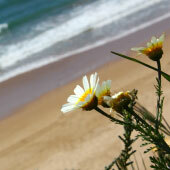 The next section provides options for slower and more relaxed tours of the Algarve. The following tours take a slightly slower approach and are better suited for the majority of tourists. The tours spend longer in each destination, allowing more time to discover the town and also time to relax on the beautiful beaches. A rental car is not needed for these tours as there is good public transport. Please Note: All of the tours in the rest of this guide follow the same general route; they begin in Faro, then visit the eastern Algarve, before heading west to the central and western Algarve. . The Algarve has an extensive and varied history, and is rich with deep rooted customs and traditions. Found throughout the region are numerous fascinating castles, churches and monuments, and this tour combines them with delightful historic towns. 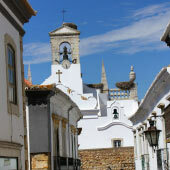 •	Tavira – Originally a Moorish fortified town, later a major port and over 36 churches; there’s a lot to see in Tavira! • Santa Luzia (Tavira day trip) – Traditional octopus fishing village. •	Vila Real de Santo Antonio – The grandeur of Lisbon but compacted into the very eastern side of the Algarve. 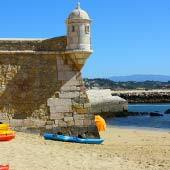 •	Castro Marim (Vila Real Day trip) – Two huge castles, which guarded against Spanish invasion. •	Olhao – Busy fishing port with traditional fishermen's houses and the largest fish market of the Algarve. •	Loule – Bustling market town with quaint cobbled streets and an African inspired covered market. •	Silves – Moorish capital of the Algarve, defended by a huge red brick castle and massive city walls. •	Lagos – Important centre for 14th-century seafaring and trade, which still retains its Moorish roots. Many package tourists are drawn to the four main resort towns (Albufeira, Praia da Rocha, Lagos and Vilamoura), but along the coastline there are many smaller resort towns. These smaller resorts tend to have a calmer and more personable atmosphere, and are a favourite with more mature tourists or families. This is a tour which is best followed at a slow pace, designed for people with no time constraints. •	Olhos de Agua – A favourite location with long staying visitors, close to beautiful beaches. 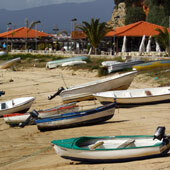 •	Alvor – Relaxed resort with a wide selection of bars, cafes and restaurants. The Algarve is not just towering apartment blocks and vast hotel complexes, this tour seeks to discover the wild and natural side of the Algarve. A rental car is a must. •	Ria Formosa Nature Park – Salt water lagoons and haven for migratory birds and traditional fishing communities. Sapal de Castro Marim - salt marshes filled with flamingos and migratory birds. Dunas Litorais - pine forests which open up on to pristine beaches. •	Carvoeiro – dramatic sandstone coastline and close to the coastline hiking trail. •	Cape Saint Vincent – south western point of mainland Europe, remote and exposed. All of these tours are designed to provide suggestions and ideas for your holiday. 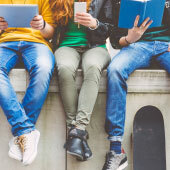 We have followed each of these routes, and all details we provide are to the best of our knowledge at the time of writing. The following section details a very general 1-week tour of the Algarve, which is suitable for most visitors. The section also briefly explains what there is to see in each of the destinations. Faro is the pretty and historic administrative centre for the Algarve and makes for a pleasant introduction to southern Portugal. 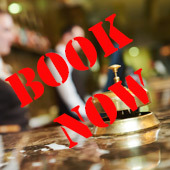 The city is close to the main international airport, and is a great place to begin a tour especially if arriving on late flights, as public transport from Faro airport is very limited. 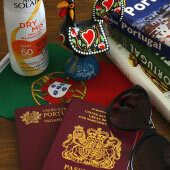 To read how to travel from the airport to Faro please click here. Faro has a scenic old town that is encircled by Moorish city walls, while at the heart of the old town is the ancient Se cathedral. Faro is situated on the edge of the salt water lagoons and waterways of the Parque Natural da Ria Formosa and guided tours depart from the small marina. 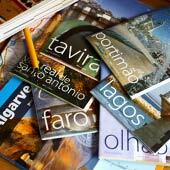 Of all of the destinations visited during the tour, Faro is the least altered by tourism. The pleasant pedestrianised shopping streets are designed for Portuguese customers, while the restaurants in Faro serve great value, traditional cuisine. Faro is often overlooked by most tourists but there is a lot to enjoy in a short visit to the city. Vilamoura is the Algarve’s most exclusive resort town and was purpose built for foreign investment and high-end tourism. The town is where the rich and elite of Europe come to play, with fine restaurants, six championship-grade golf courses and multi-million dollar yachts moored in the marina. 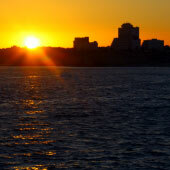 It is suggested to spend one night in Vilamoura to experience the glamorous side of the Algarve. The central focus of Vilamoura is the large marina, which is surrounded by boutique shops, trendy bars and swanky hotels. The town has a very different appearance and atmosphere to the rest of the Algarve, with a general sense of wealth - but this comes at the expense of Portuguese charm. Vilamoura is great for a golf holiday as it has some of Portugal’s best golf courses, and golf equipment can be rented from the shops in the town. Albufeira is southern Portugal’s largest resort town and the huge influx of tourist development has only enhanced this enjoyable holiday destination. Albufeira boasts a wonderful beach, a charming old town and the largest assortment of restaurants and bars found in the Algarve. 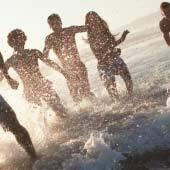 Every style of tourist is catered for in Albufeira; be that families, couples or party goers, and it is no wonder that the town is the most popular holiday destination in Portugal. The pretty Old Town is crammed with restaurants and bars that stretch from the beach up the hill to the small fort. 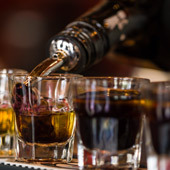 For those who wish to over-indulge in themed bars and party all night in late-night clubs should head to “The Strip,” 2km from the Old Town, which is just far enough away not to annoy other tourists. The two nights in Albufeira allows for one relaxing day on the beach and one day to visit a popular tourist destination, such as Zoomarine or Slide and Splash water park. Albufeira is also the best town during the tour for a big night out, either with a sunset and romantic meal, or karaoke and too many beers in an Irish bar. Silves was the ancient Moorish capital of the Algarve and was also a major port, using the slow-flowing Arade River as a connection to the sea. Today, Silves is the most picturesque town of the northern Algarve and is a highly recommended place to visit. Silves has a quaint lower town, close to the river front, with cobbled streets and open air cafes. Further into the town are the remains of the solid fortifications and the traditional white painted cathedral. The distinctive red brick castle, which underwent a major restoration project during the 1940s, dominates the skyline of Silves. Silves is a small town and the major sights can be seen within a few hours, and could be visited as a day trip from Albufeira or Lagos. But the town has a pleasant, relaxed ambience far removed from the hectic pace of the coastal towns. Silves is a great place to unwind and take it slowly, just as the locals do. 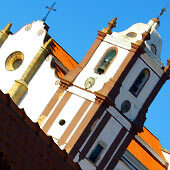 For a guide to Silves please click here. The final destination is the historic town of Lagos, which is set along some of the most stunning coastline found in the Algarve. Lagos had a varied history and this is reflected in the range of historic monuments, which include a fort, important churches and even a slave market. 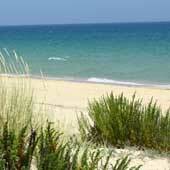 Close to Lagos is the Don Ana beach, which is regarded as the finest beach of the Algarve. Further along the coast are the highly weathered cliffs of the Ponte da Piedade, a series of grottos, sea caves and rock formations which are best explored by tour boat. For a guide to Lagos please click here. Lagos is a convenient place to finish a tour of the Algarve, as the regional railway terminates in Lagos and it is a direct train ride all the way back to Faro and the airport.